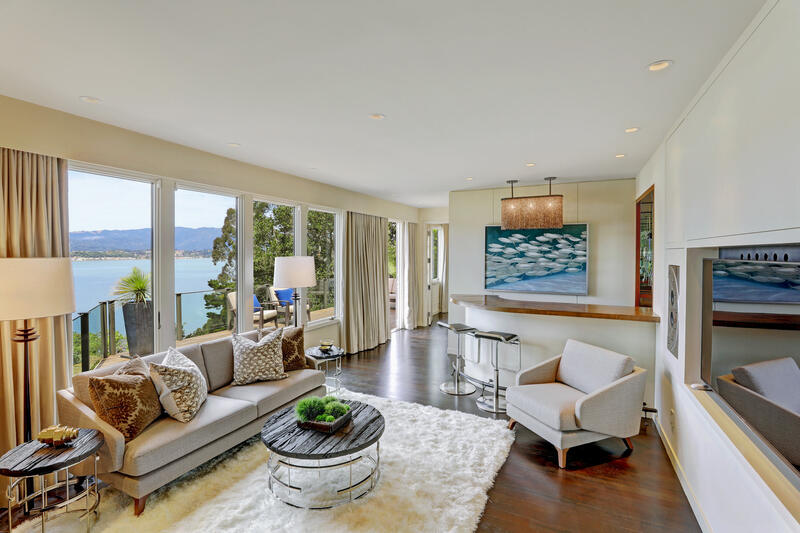 Recently remodeled, an elegant contemporary style home, with excellent high-end finishes and outdoor stonework. 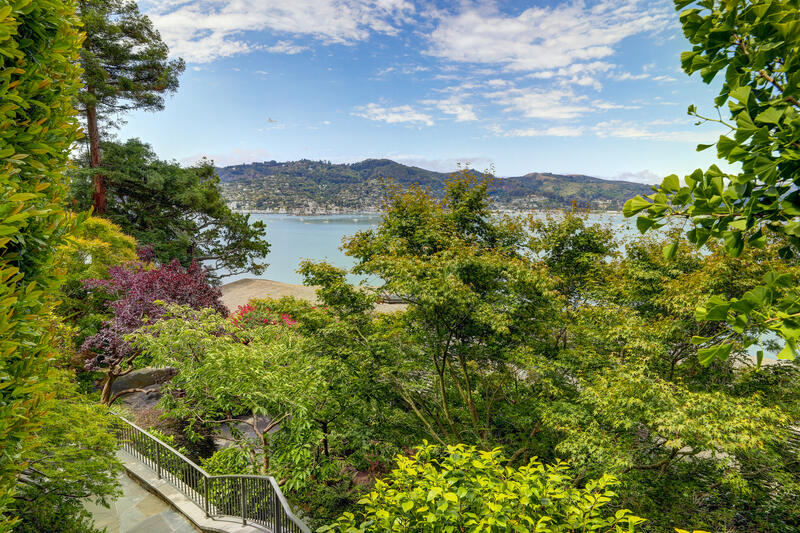 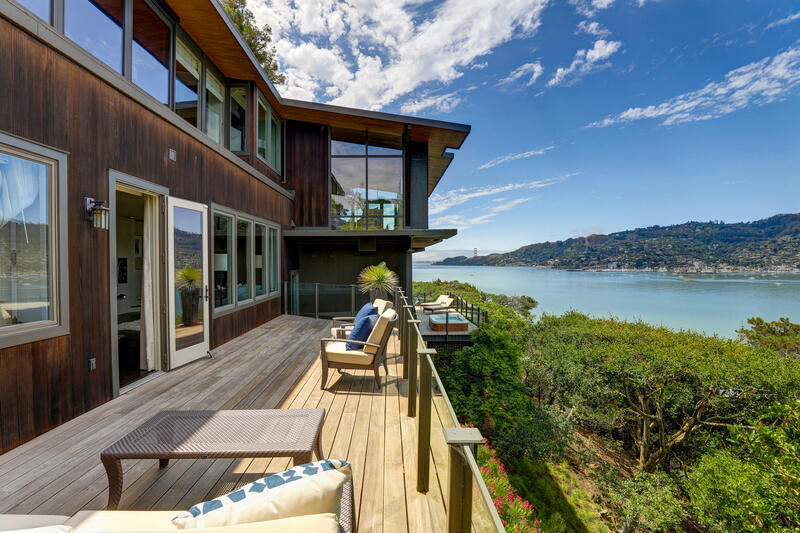 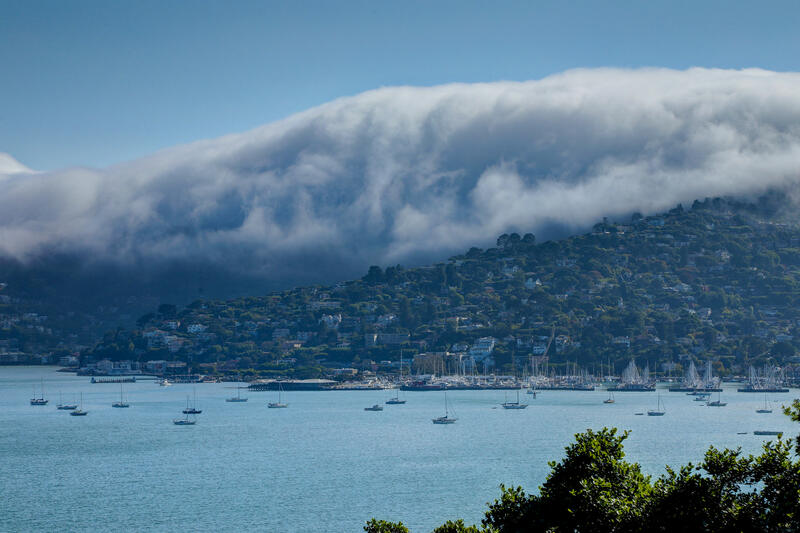 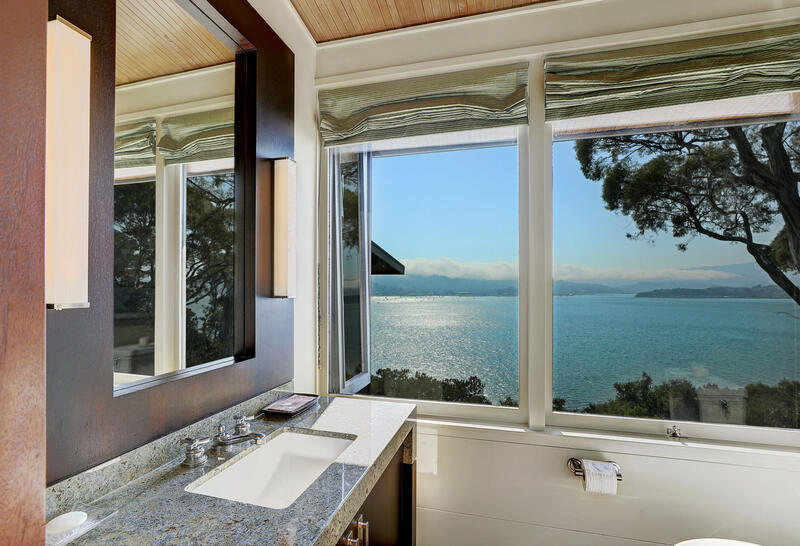 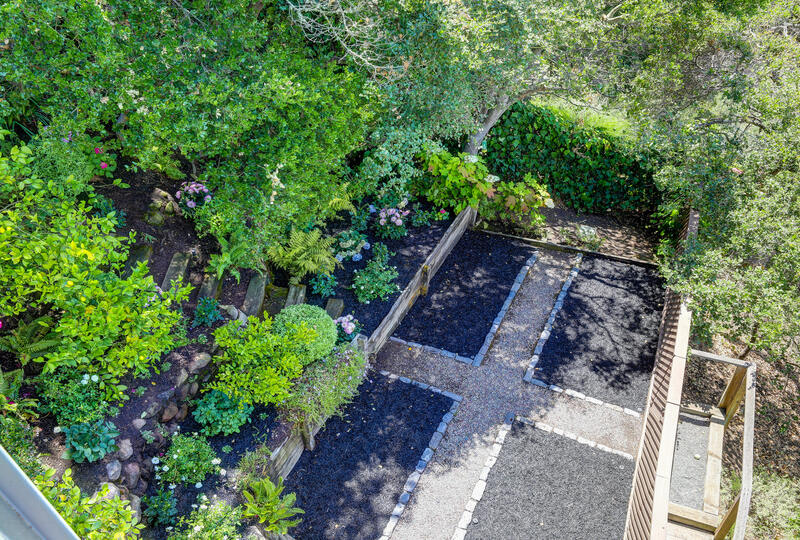 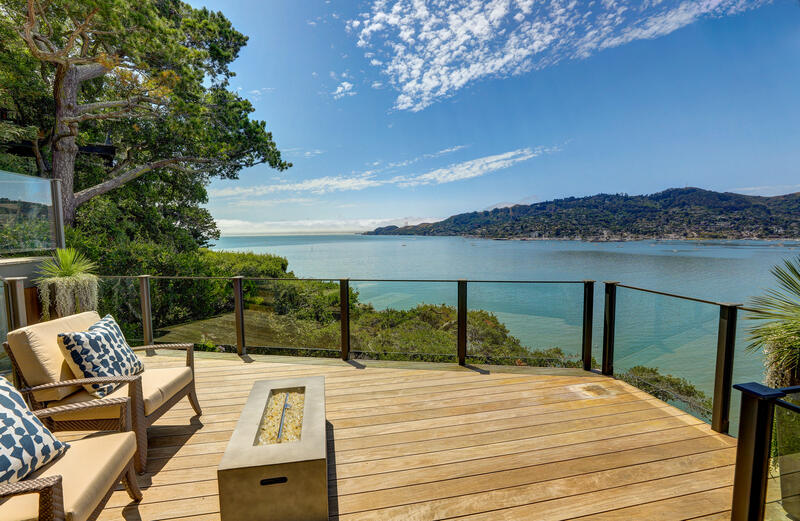 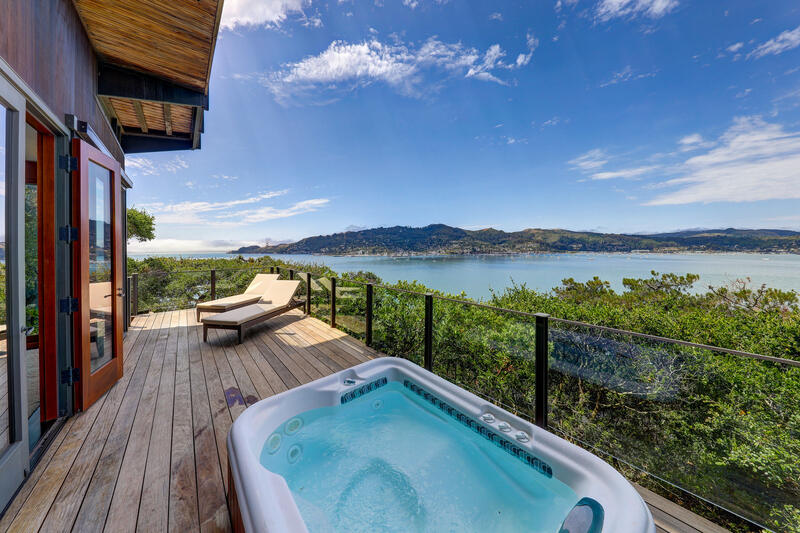 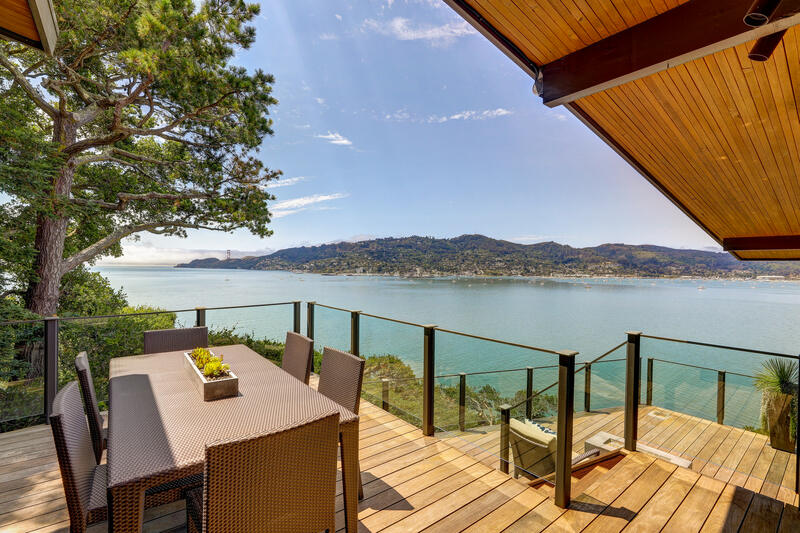 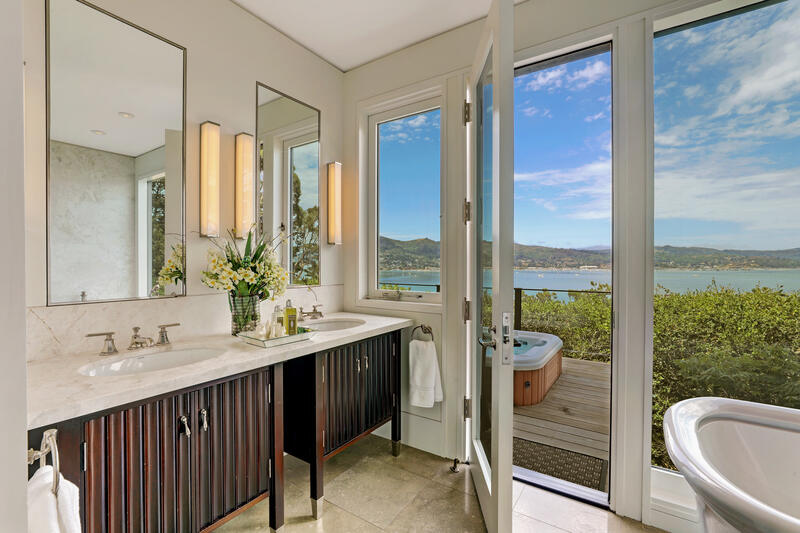 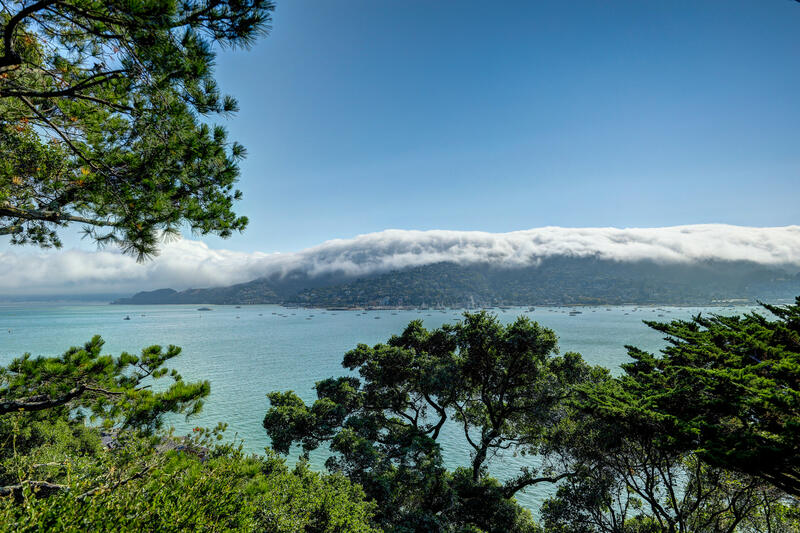 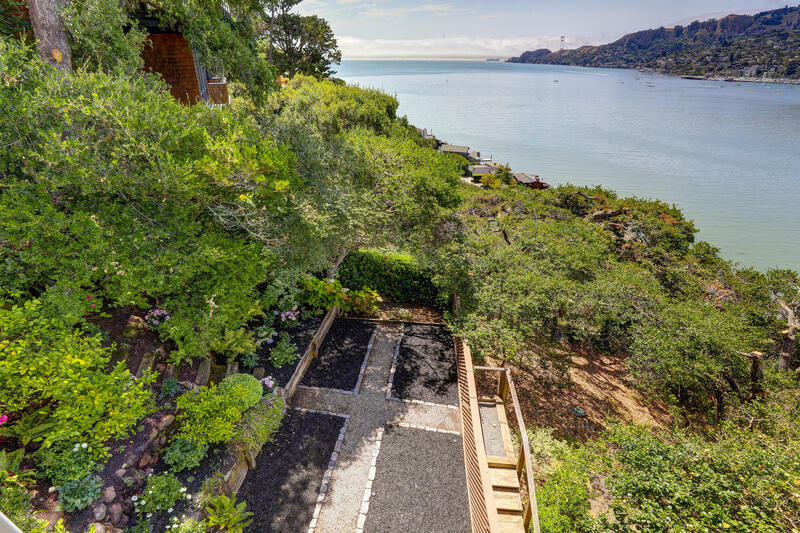 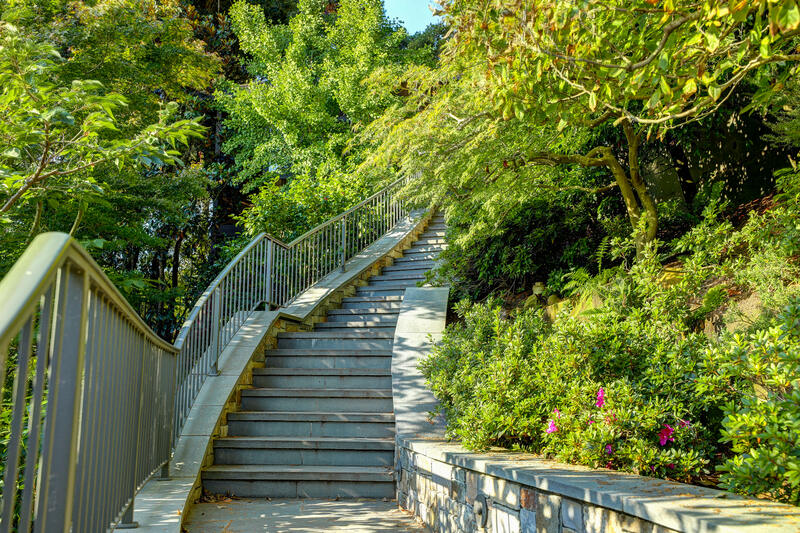 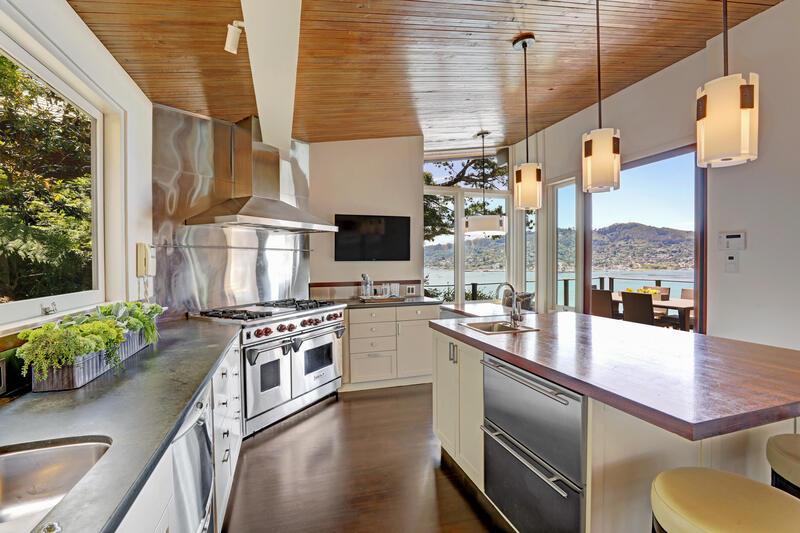 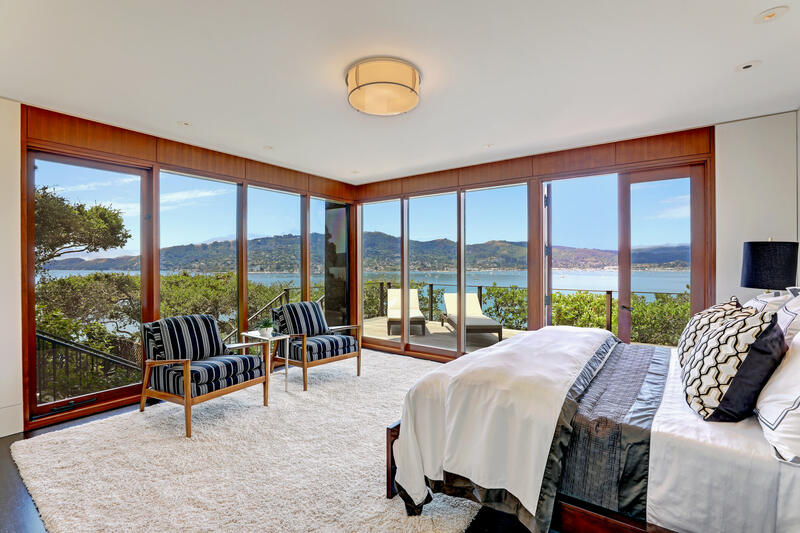 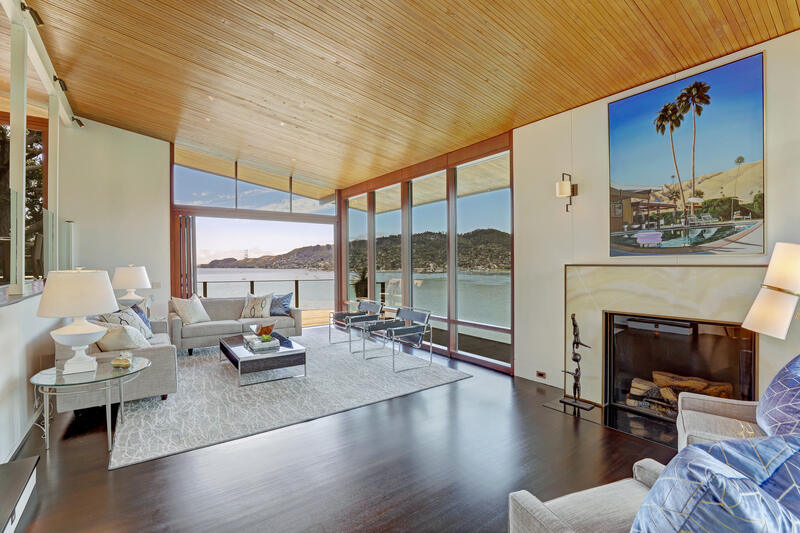 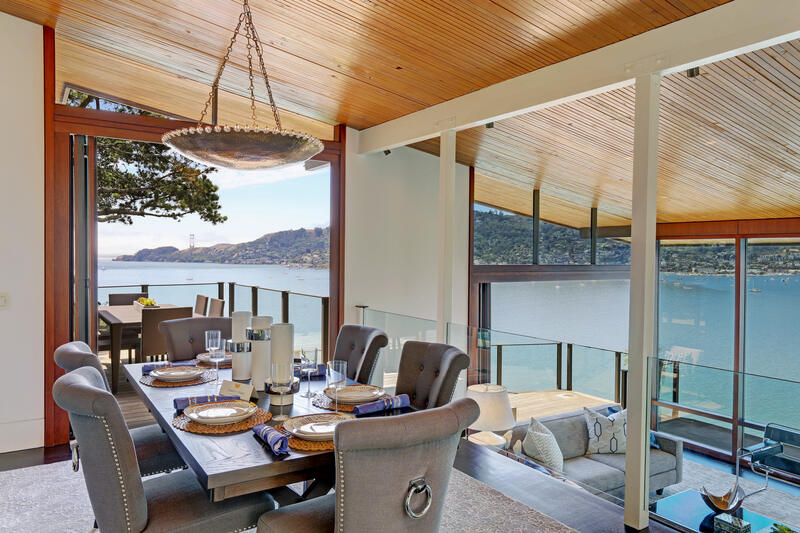 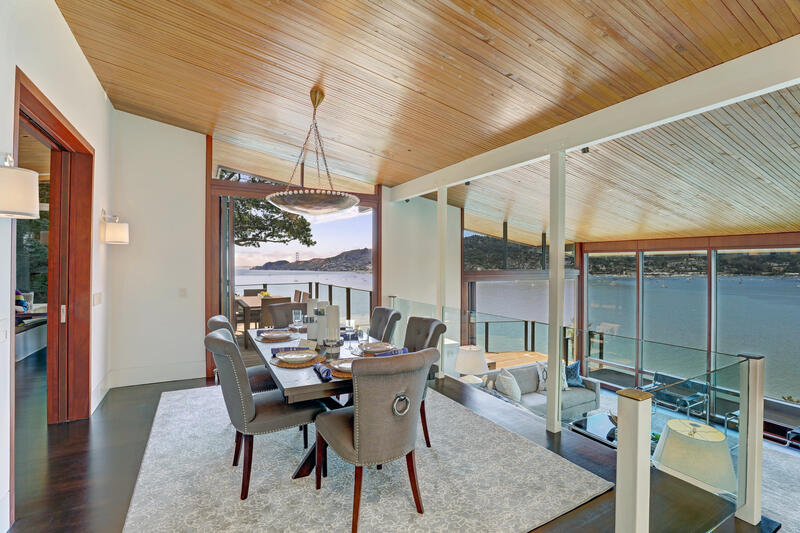 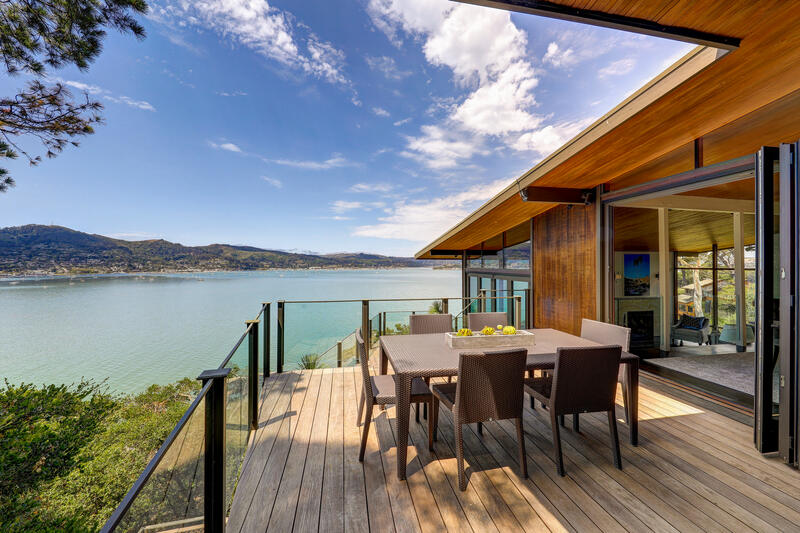 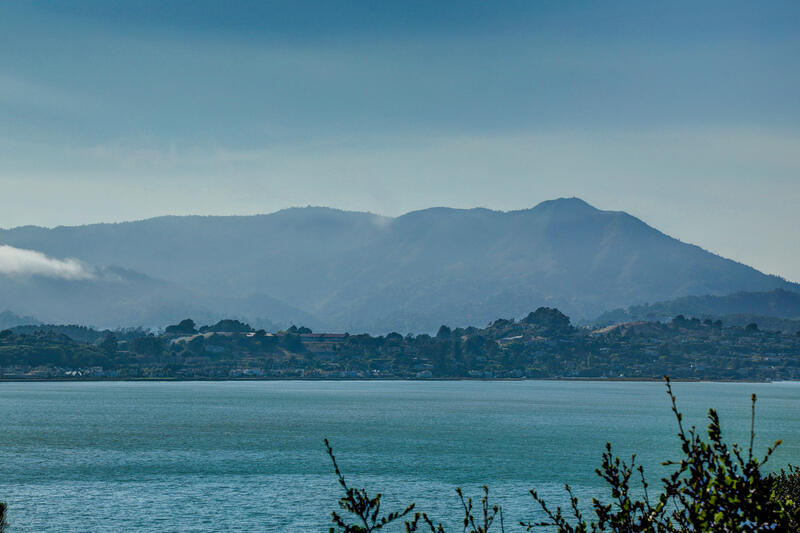 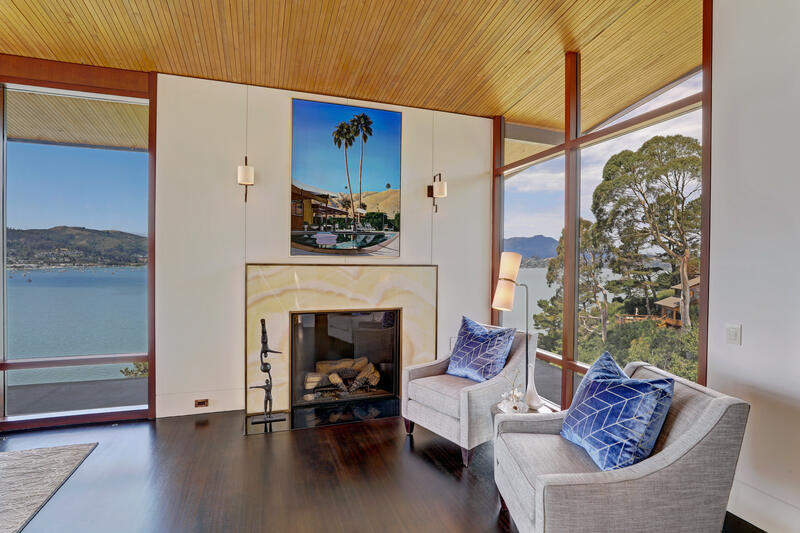 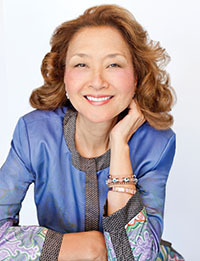 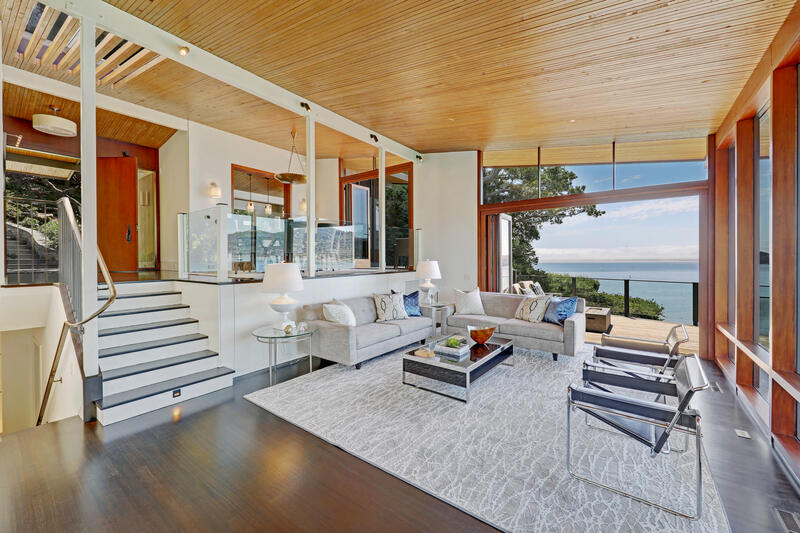 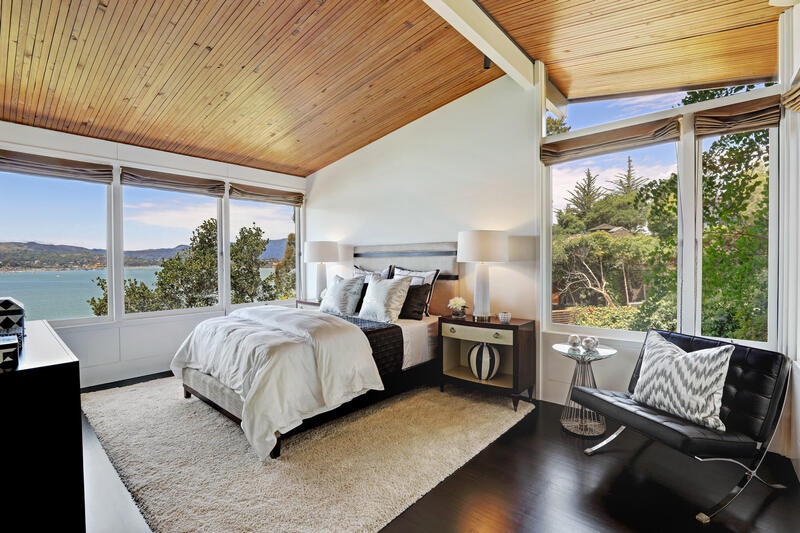 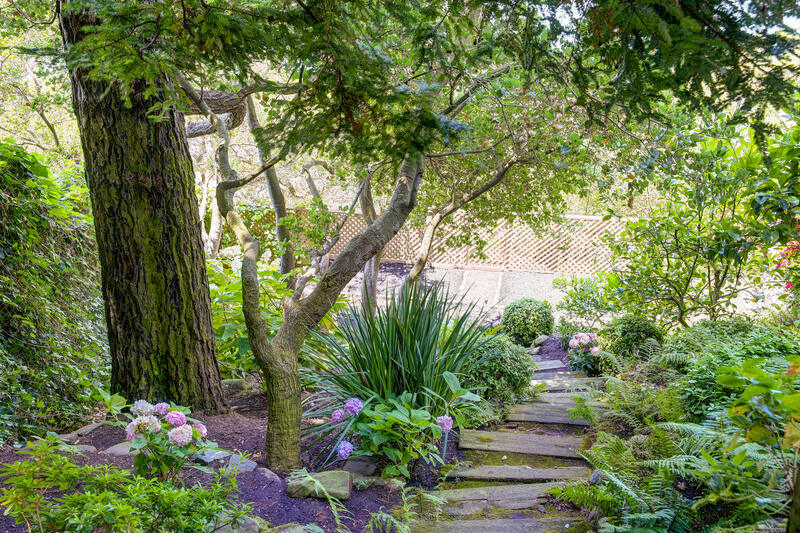 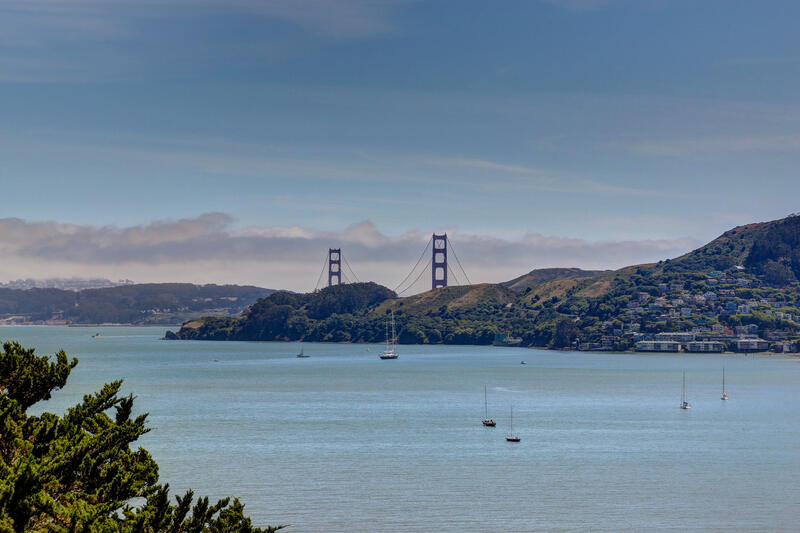 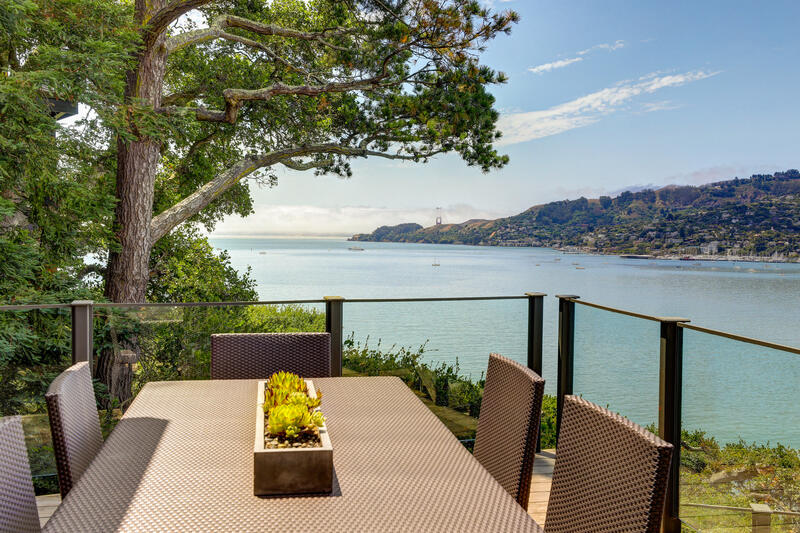 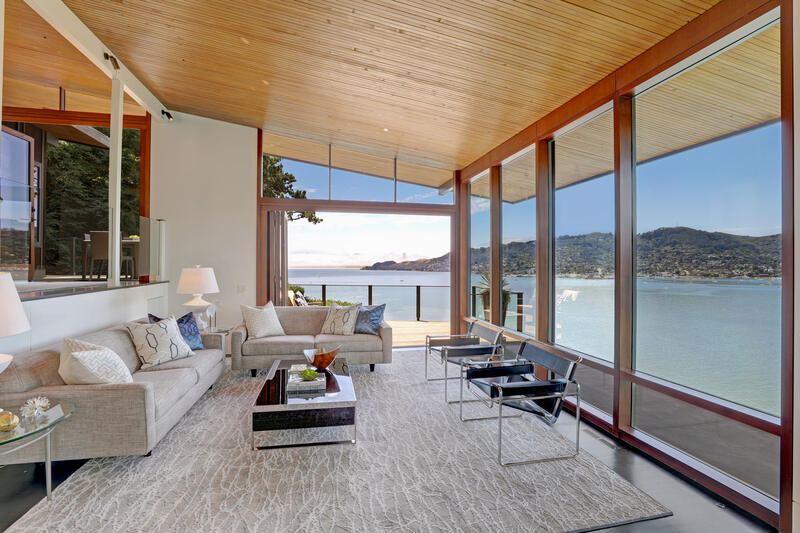 Breathtaking views of the Bay that stretch from San Francisco, Golden Gate Bridge, Sausalito to Mount Tam. 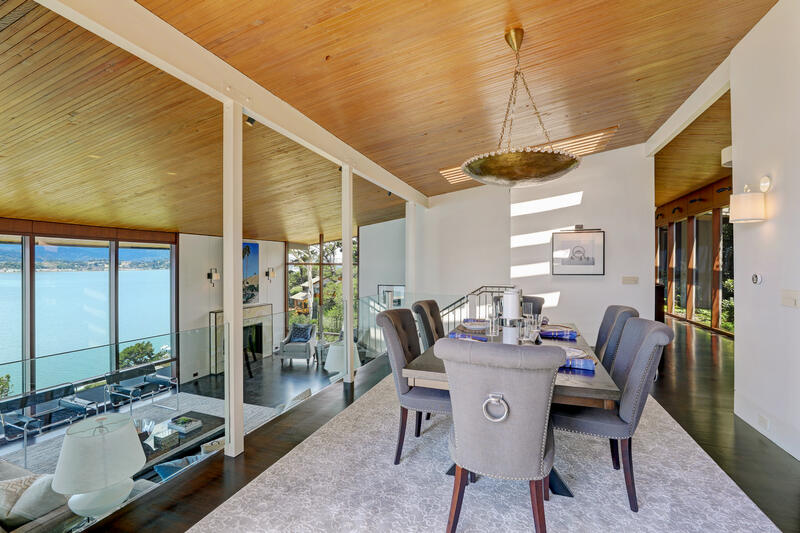 4 bedrooms, 4 baths, plus a large office with built in cabinetry and a separate gym building. 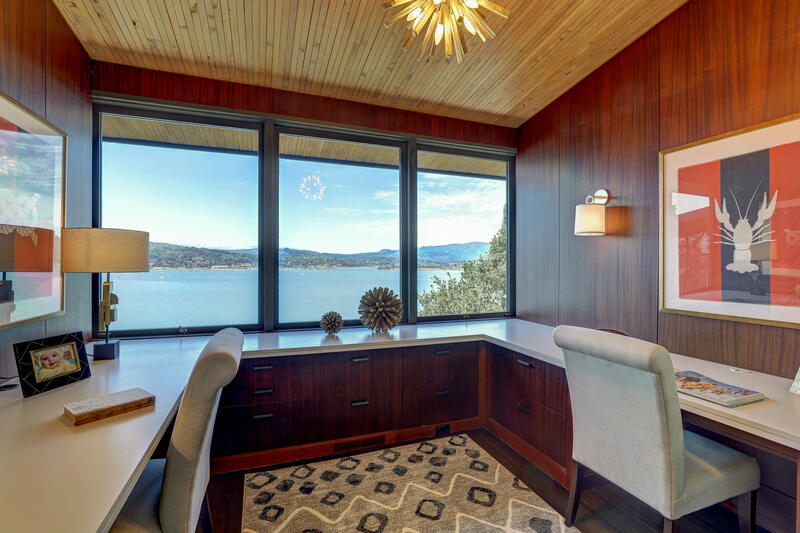 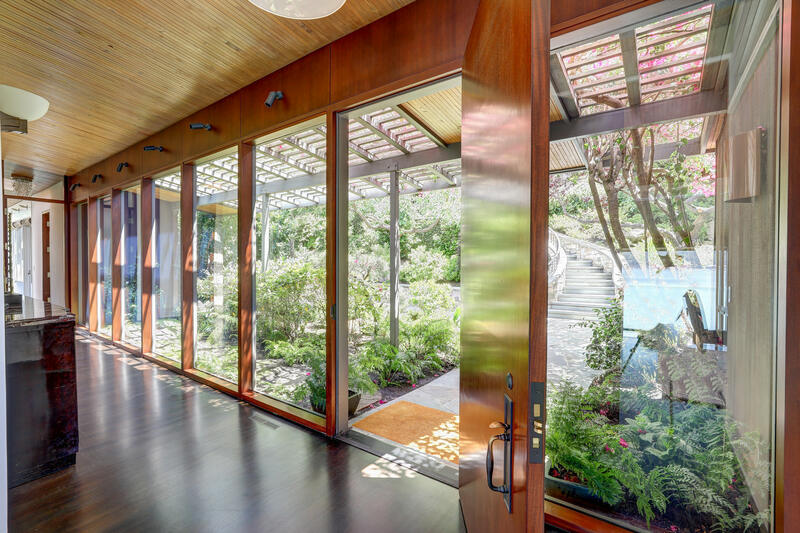 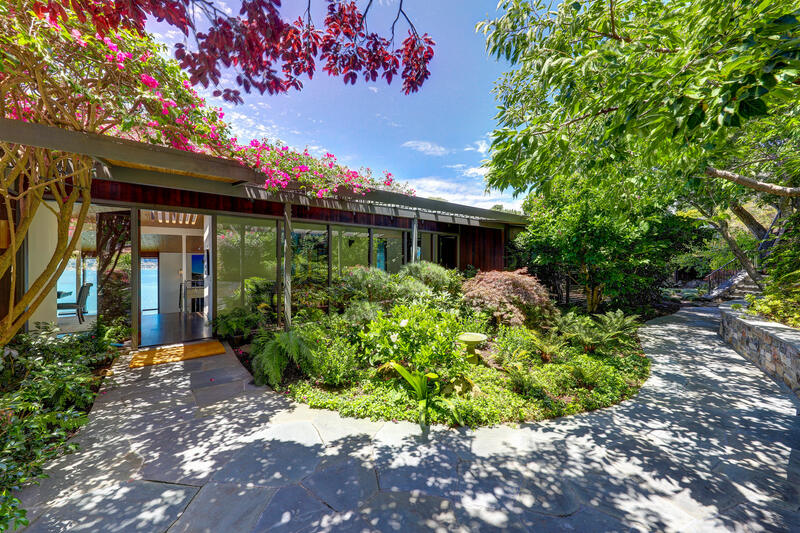 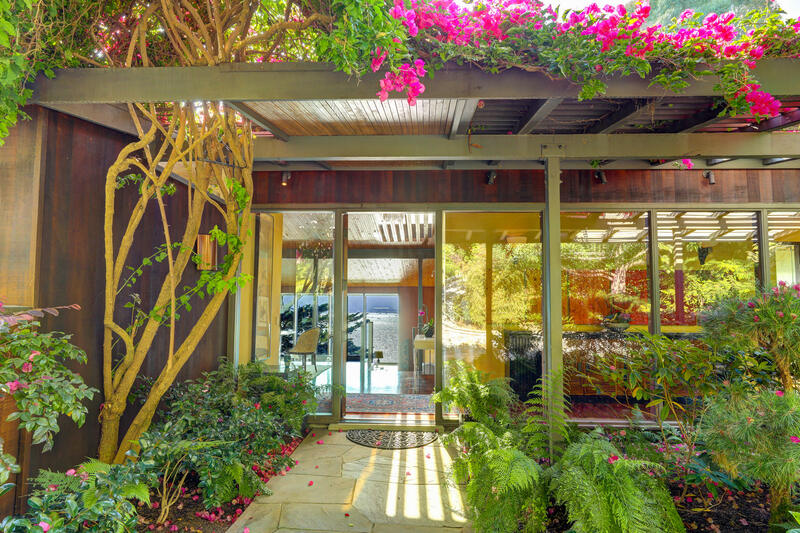 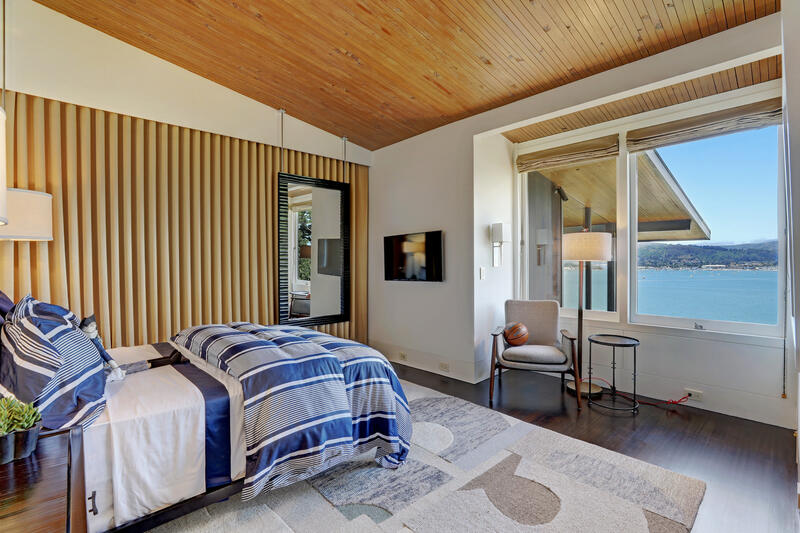 Reminiscent of Frank Lloyd Wright with view decks off nearly every room. 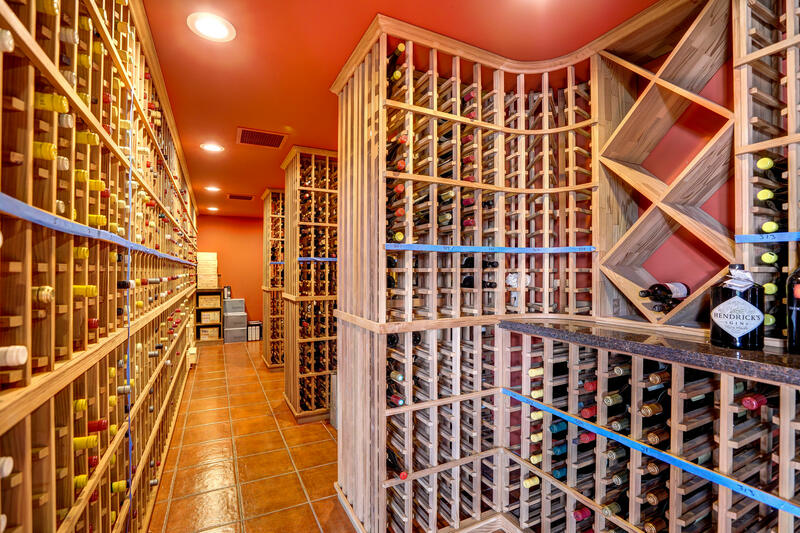 A 5,000-bottle climate controlled wine cellar. 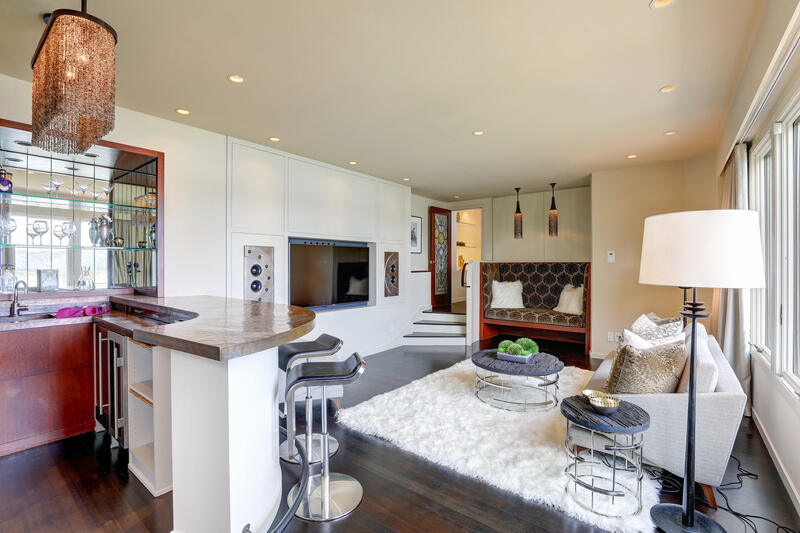 Oversized 2-car garage plus street parking. 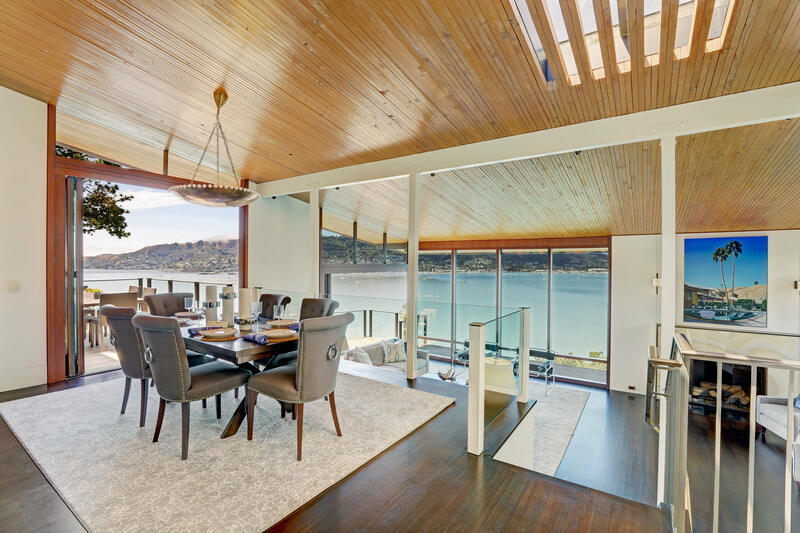 Unique detail with flush moldings around the baseboards, doors and windows. 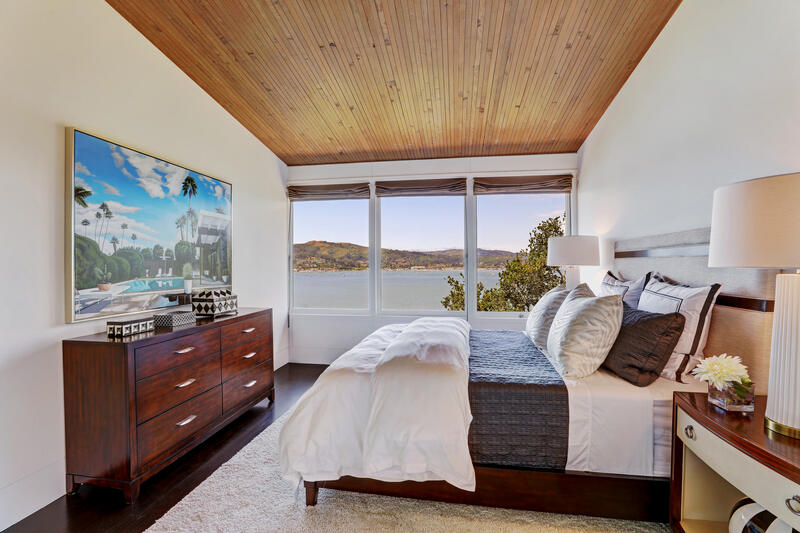 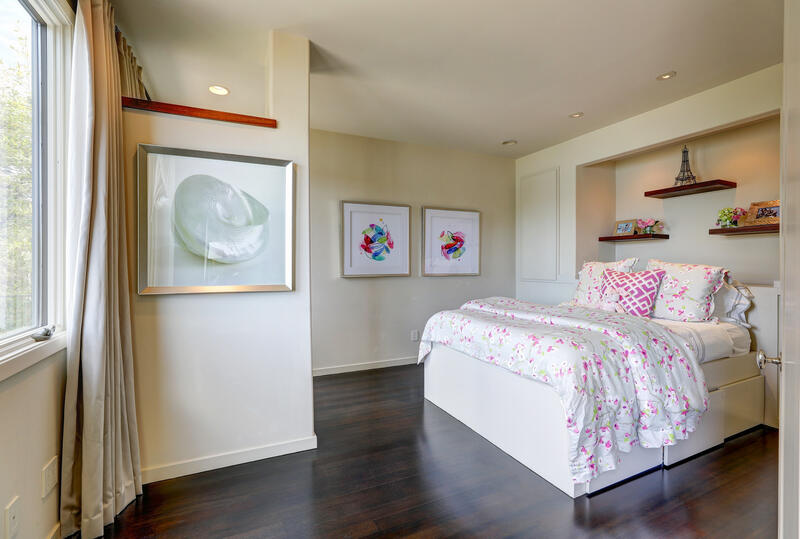 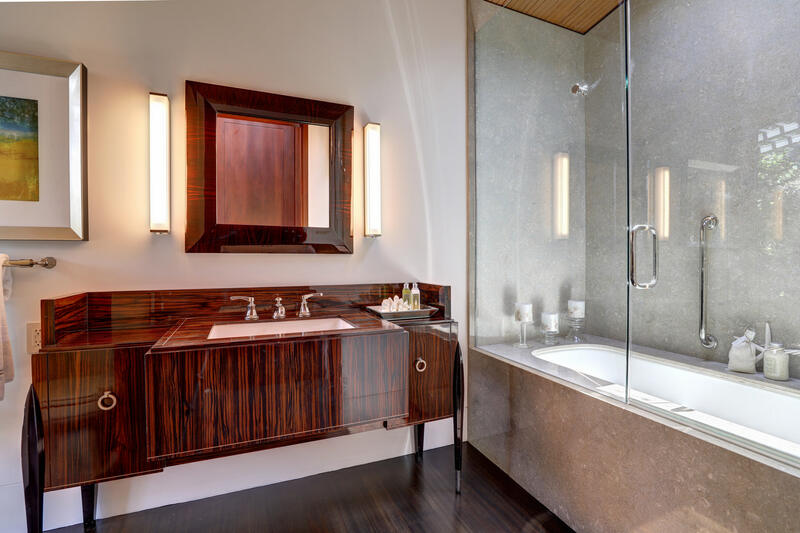 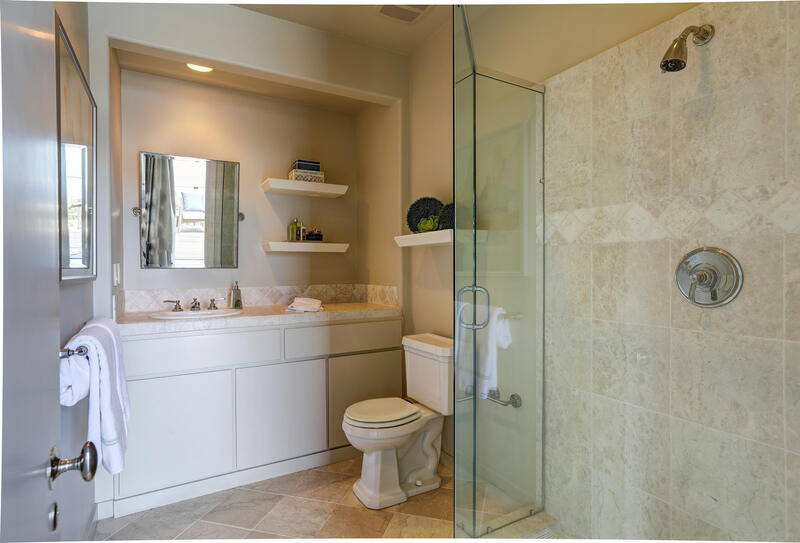 The Master features a large custom walk in closet, marble steam shower, luxurious bath, and built-in Jacuzzi off deck with water views. 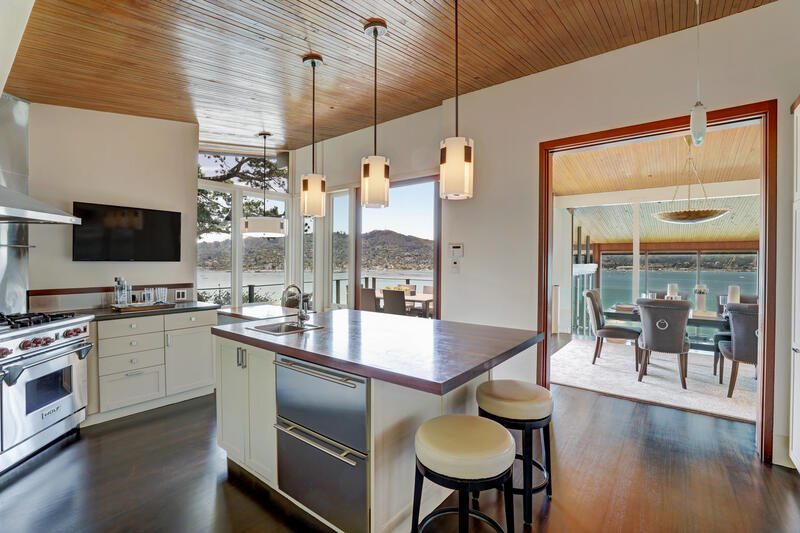 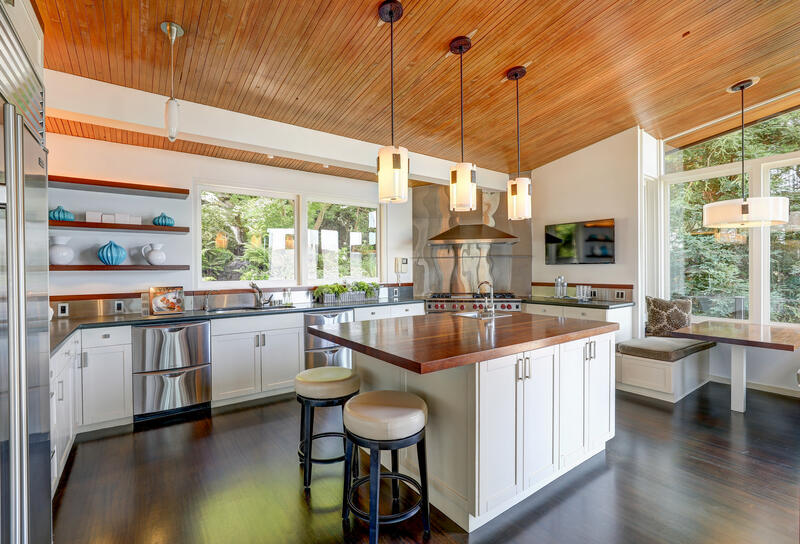 Eat in kitchen with high-end appliances, separate dining room, and family room with copper bar that includes wine refrigerator, ice maker opening onto a spacious view deck for entertaining. 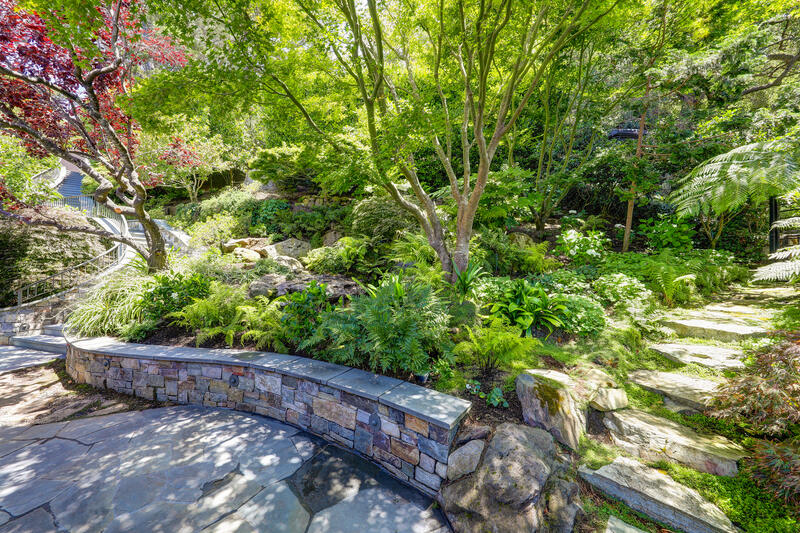 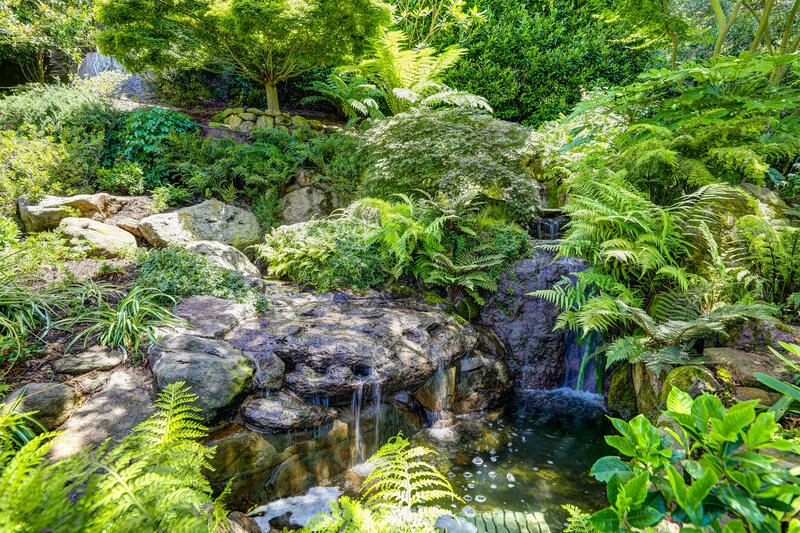 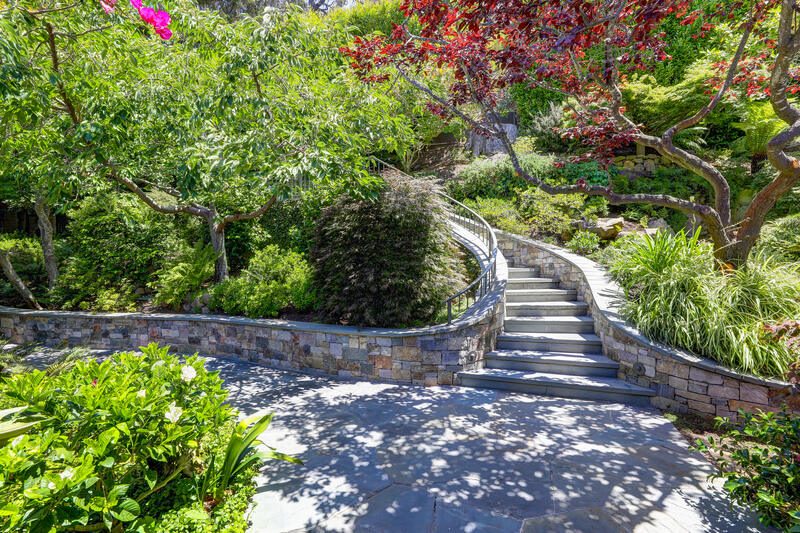 Outdoor built in BBQ, an award-winning garden with mature landscaping, custom stone work and majestic waterfall features. 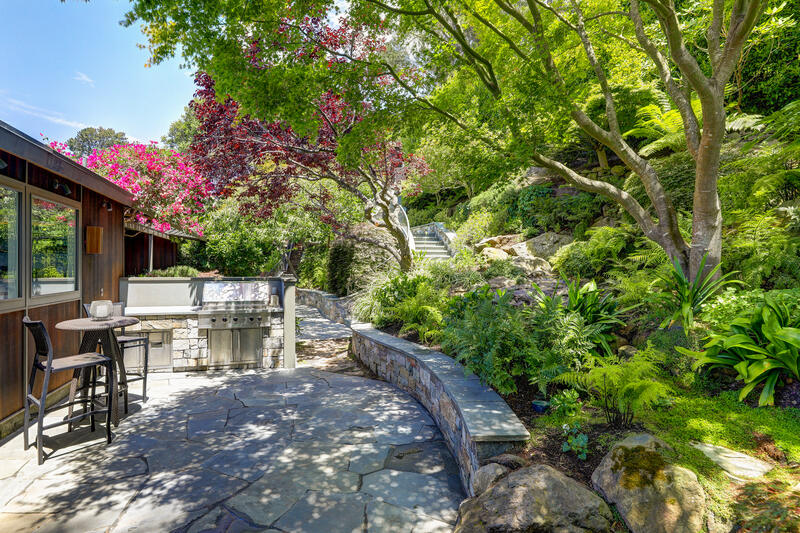 A private oasis you must see to appreciate!